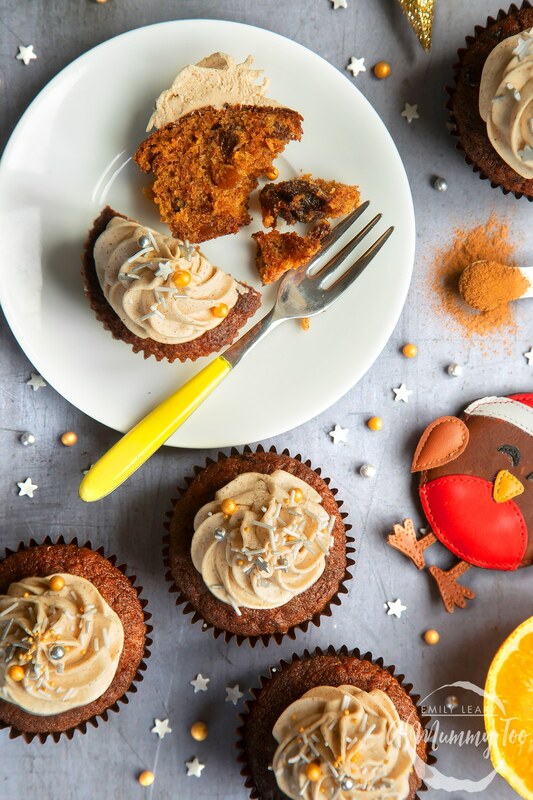 These beautiful Christmas pudding muffins are a gorgeous, festive treat to get you in the Christmas spirit, with plenty of fruit in the light, flavourful sponge, and a delicious spiced rum flavour to the creamy frosting. They’re wonderfully fruity and just a little bit naughty – adapted slightly from a recipe sent in by the amazing Helen from The Crazy Kitchen. 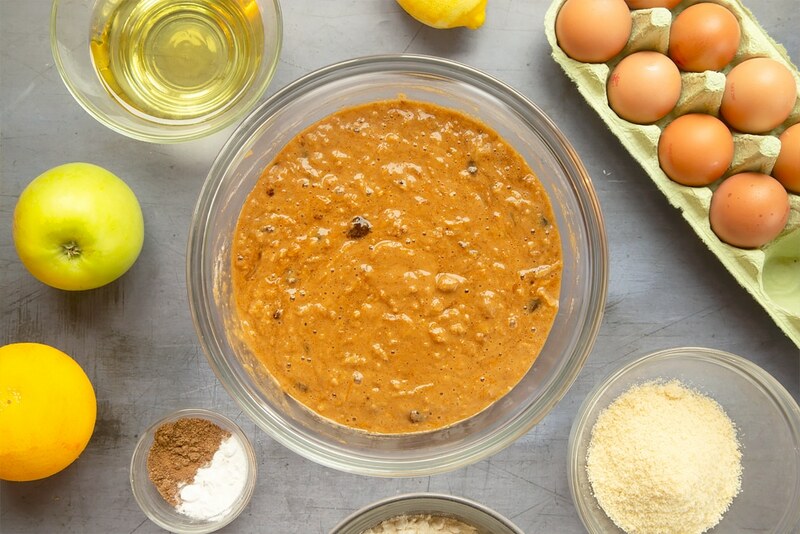 Here’s what to do to make twelve delicious Christmas pudding muffins. Preheat the oven to 180C/355F (160C/320F fan). 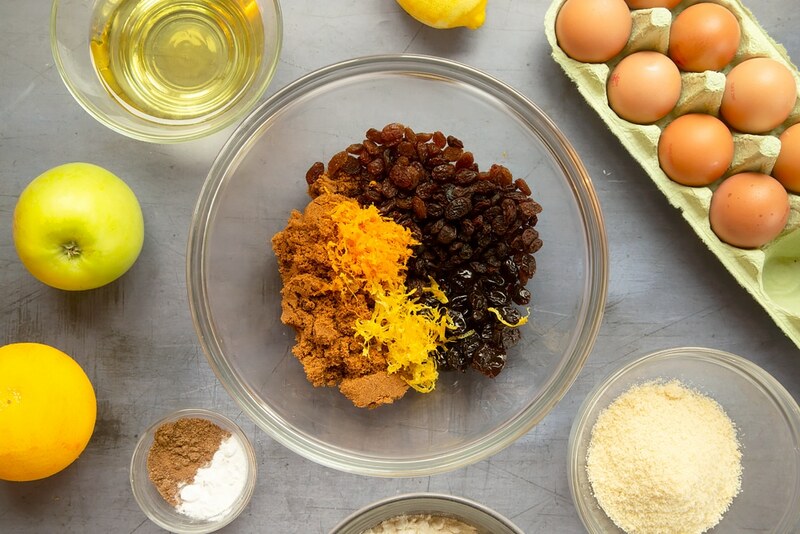 In a large bowl, add the sugar, cherries, sultanas, raisins, orange zest and lemon zest. 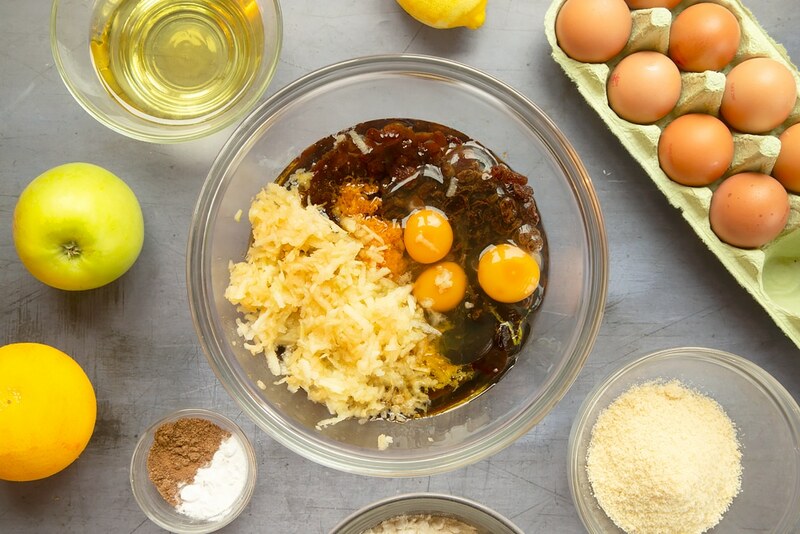 Add the oil, eggs, apple and rum and mix well. 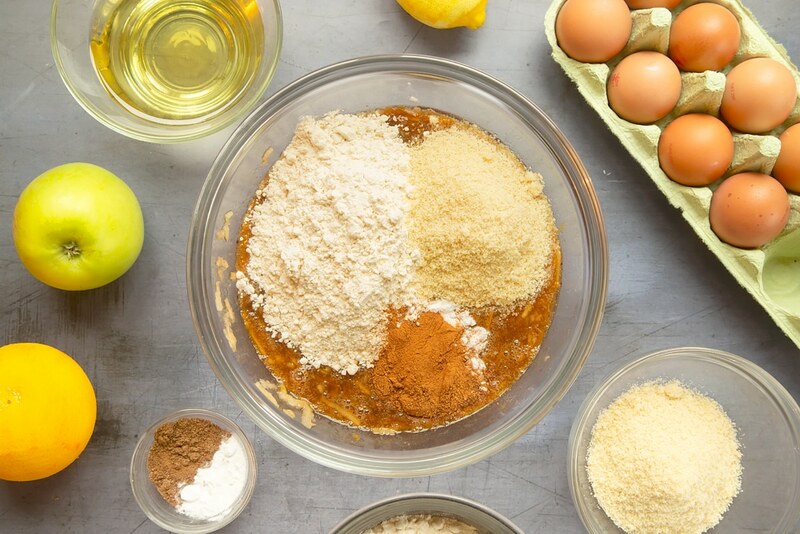 Add the flour, almonds, bicarbonate of soda, mixed spice and cinnamon to the bowl and mix through. 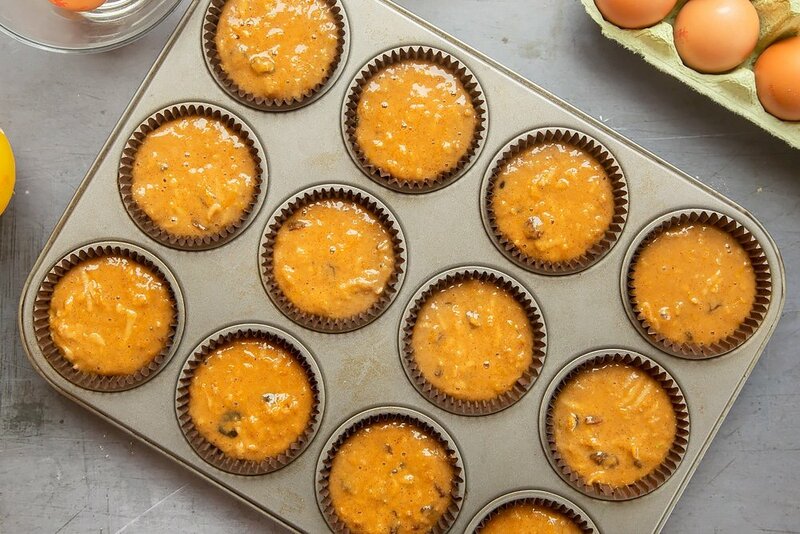 Line a 12 hole muffin pan with muffin cases and share the batter evenly between them. Bake for approx 20 minutes, until spongy to touch. 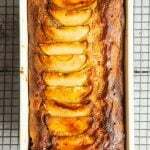 Turn out onto a wire rack and allow to cool completely. Meanwhile, in a bowl beat the butter, icing sugar, rum, cinnamon, vanilla and mixed spice together until pale, smooth and creamy. Finish off with sprinkles, if you like. If you’d like to print this Christmas pudding muffins recipe again to try again, just hit PRINT on the recipe card below. 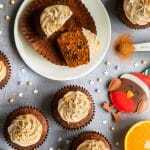 Christmas pudding muffins are a gorgeous, festive treat to get you in the Christmas spirit, with plenty of fruit in the muffin, topped with a delicious spiced rum frosting. I’m off to eat some more – purely for research purposes, you understand. 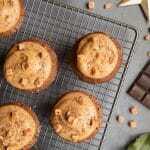 Are you tempted to try these delicious Christmas pudding muffins at home? 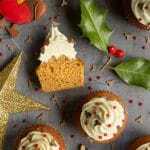 For more festive baking goodness, try these spiced Christmas cupcakes with marzipan frosting. Mmmm! 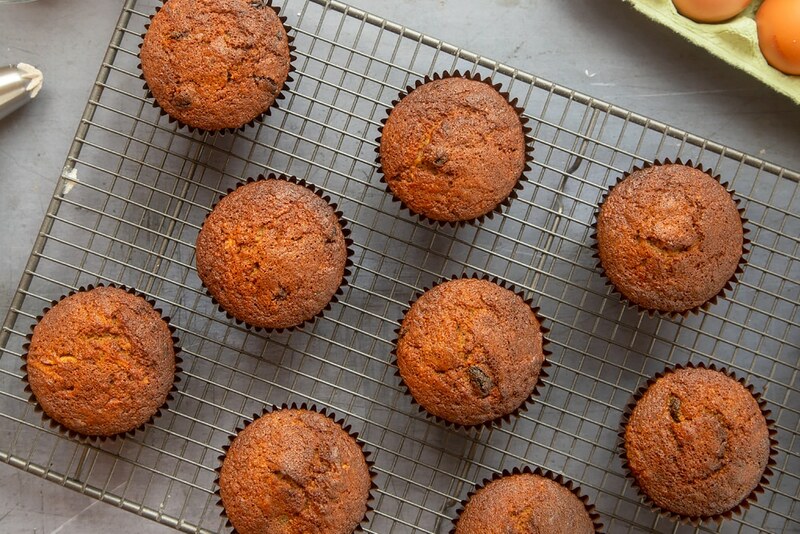 These muffins sound wonderful. 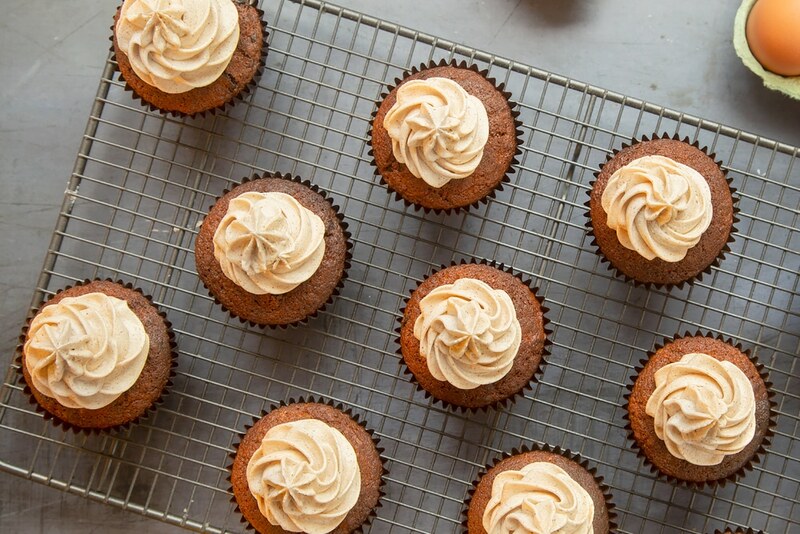 I’m in love with that spiced rum frosting! 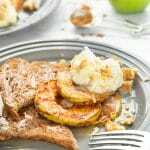 This is perfect for a holiday brunch or dessert! Oh, these look perfect! 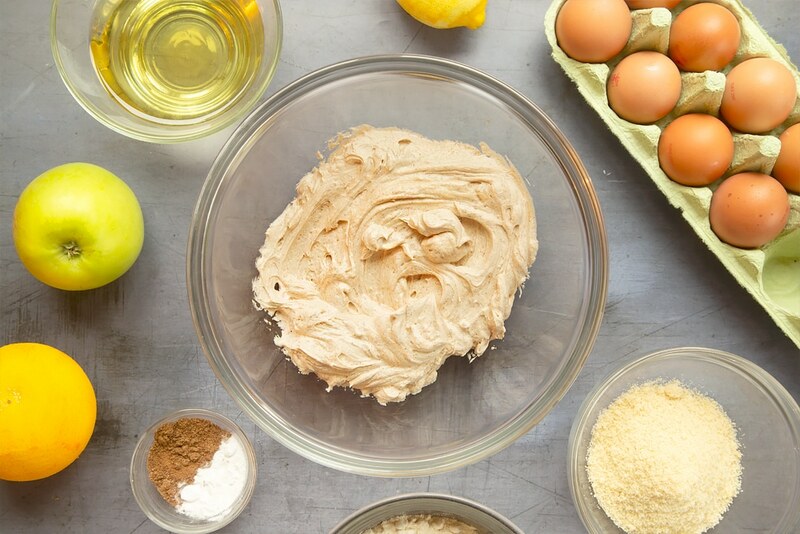 And that rum frosting? Yes please! 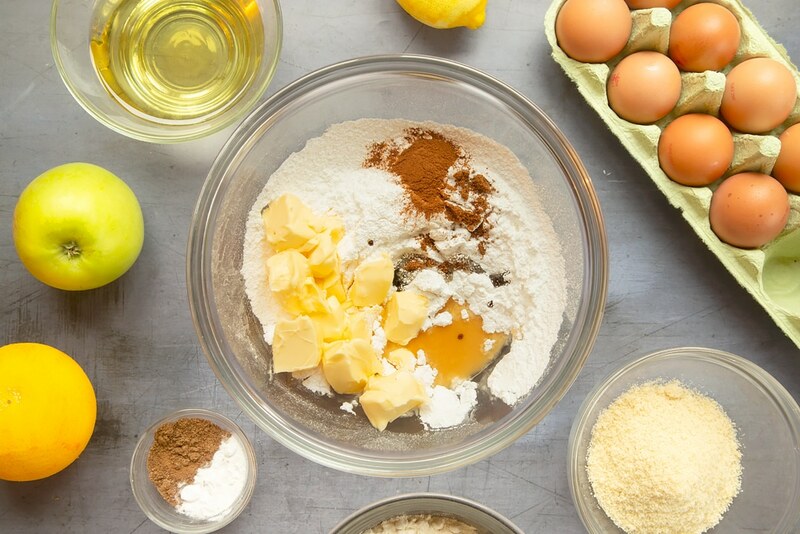 Will definitely be adding these to our Christmas baking list. These look so delicious! I love the rum laced frosting paired with the dried fruits in the cake. It certainly sounds like a winning combo. Thanks Lauren :) They taste as good as they look! I hope you enjoy them if you decide to give them a go! I know just what you mean :) The frosting is delicious, but then so is the fruity sponge! Enjoy! 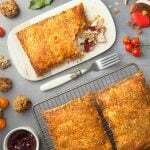 These are gorgeous and I always enjoy looking at awesome food photography. 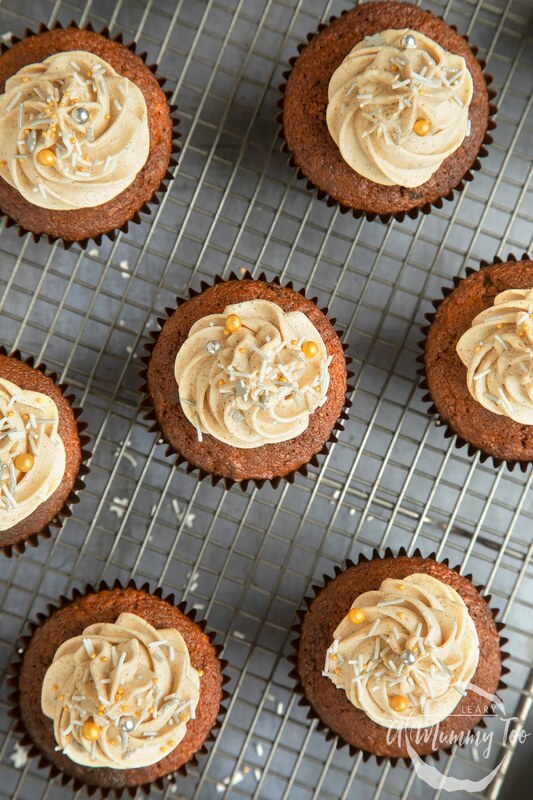 Oh my god, how cute are these and the sound of that cinnamon rum frosting got me drooling! Cannot wait for Christmas to come! These are on my wishlist! Thank you :) I agree, the frosting is SO delicious, but then so are the muffins! 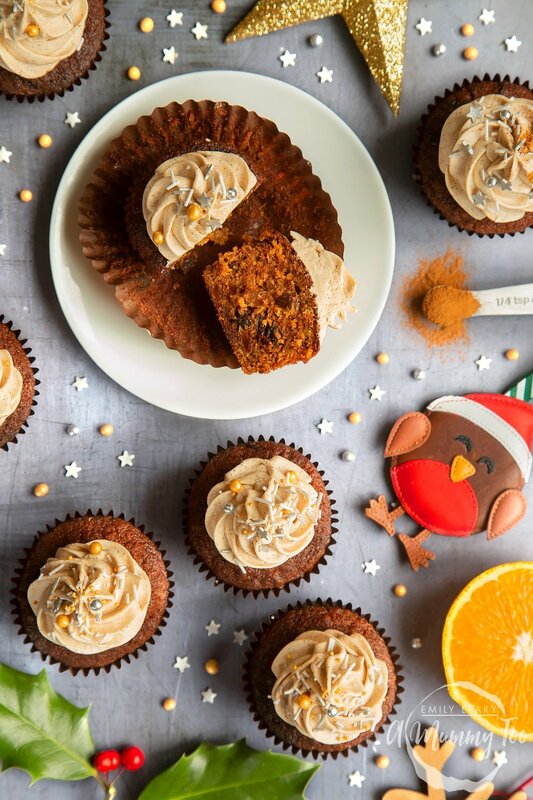 What an absolutely fantastic idea these Christmas pudding cupcakes! 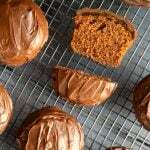 Love that sponge with all the spices and dried fruit, and also love the rum frosting!! Thank you so much! I’m so pleased that you like this recipe :) I’d love to hear if you give these delicious Christmas pudding muffins a try! These are stunning! I love the colors :) And they’re so perfect for Christmas! Bring on the spiced rum! Ha! Thank you so much! I hope you give them a go – they’re so yummy! I love Christmas pudding but for me it’s a Christmas Day only thing (although I’m always relieved when there’s some left over to finish off over the next few days!). So anything that tastes of Christmas pudding but is not the actual thing is a real bonus for me. 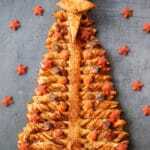 It means I get all the gorgeous flavour without spoiling the Christmas day treat! I might try brandy instead of rum in the icing though as I absolutely love brandy butter! I agree! There’s all the delicious flavours of a Christmas pudding but there’s still an actual pudding to look forward to on Christmas day! Enjoy! ahh thanks Emily…they look great & I’m glad you enjoyed them….now you need to drink the rest of that rum!